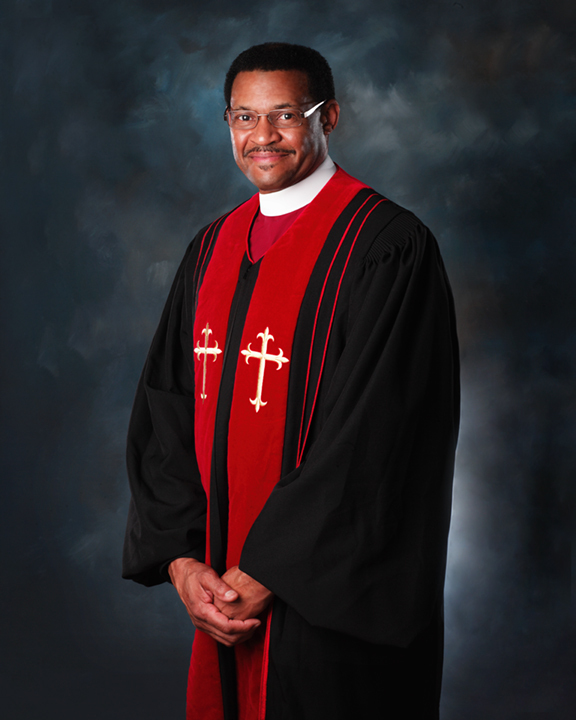 Bishop Maurice Nicholson is the son of the late Deacon Richard Nicholson and Ethel Baylor Nicholson of Freeman, Virginia. He was born in Brunswick County, Virginia on May 3, 1950. He grew up and attended public school in Brunswick County and graduated in 1968 from James Solomon Russell High School in Lawrenceville, Virginia. He married his high school sweetheart Orelia Walton on May 3, 1970 and to this union two children were born, Shawn and Jennifer. He has two grandchildren and one daughter-in-law. On September 8, 1976, he accepted Jesus Christ as his Lord and Savior. He joined Bethel Church of God in Christ in Hackensack, New Jersey where he served as the Pastor’s Armor Bearer, Sunday School Teacher, Sunday School Superintendent and Deacon. In 1978, he accepted the call to preach the gospel and received his license to preach from Bethel Church of God in Christ, under the leadership of Pastor Robert Redell Langston. While living in New Jersey he attended an extension of Charles Harrison Mason Bible College in East Orange, New Jersey and Manhattan Bible Institute in New York, where he received Teacher Certificates in Theology. After relocating to Virginia he joined the Tower of Deliverance COGIC under the leadership of Elder James Lewis Moore, Sr. He was later assigned as the Administrative Assistant to an extension of the Tower of Deliverance COGIC located in Blackstone, Virginia, where he and his family served faithfully for one year. Since relocating to Virginia, he has furthered his education at the Fredericksburg Bible Institute and Seminary in Fredericksburg, Virginia earning his Associate, Bachelor, and Master degrees in Theology. Through much prayer and fasting he was led by the Lord to start a ministry in Richmond, Virginia. He founded Future Church which grew from a Bible Study conducted in a home. He was ordained as an Elder and appointed as Pastor of Future Church of Christ (Holiness) USA by the late Bishop Eugene Brown, Sr., Presiding Bishop of the Eastern Diocese COCHUSA. He served as Southern District Chairman of the Eastern Diocese and National Evangelist in COCHUSA. He was appointed as Interim Bishop of the Eastern Diocese on October 1, 2007; was consecrated and appointed Bishop and Presiding Prelate of the Eastern Diocese on July 27, 2008. Bishop Nicholson currently serves as Presiding Prelate of the Eastern and Southeastern Dioceses, the Second Vice-President of the National Church and Chairman of the National Church Evangelism and Mission Board.